We have just been on our fifth Trafalgar tour and would really recommend traveling with this company. We went on the Scenic Scandinavia Tour from the 23 of Sept with the best tour director EVER, Catrin Griffiths. She really made the tour even more special. Thank you Catrin - your flair, incredible knowledge, treats, music, organizational skills and wonderful sense of humour will never be forgotten!! Just completed our first tour with Trafalgar - 12 day European Whirl!! What an awesome and extremely well organised tour it was. Our Tour Director Peter was absolutely brilliant. Full of knowledge, very professional and well organised.....taking good care of the 49 of us! We had Ivan driving us carefully and safely around Europe, something I would not attempt, especially in France! Was the best trip to give us a good 'taste' of Europe including hidden treasures and front of line entries. 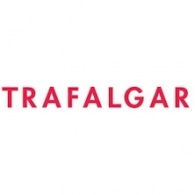 Highly recommend Trafalgar and will definitely be booking again in the future. Thanks team! We just got back from doing the London to Rome highlights for our honeymoon. This was our first time traveling abroad so we weren't sure what to expect. We are so beyond thrilled with our experience through Trafalgar. Our driver, Claudio, was a master at navigating the busy streets in Paris and Italy. He kept our coach well organized and clean, engaged with us, and made sure we were comfortable. Gerry, our travel director, deserves so much more than just 5 stars. He was incredibly knowledgeable and made everything come to life at each point of interest. His restaurant recommendations were always spot on and he took the time to make sure each and every person was comfortable and happy. Visiting 5 countries in 8 days with 40 people and keeping everything running smoothly is no easy job but Gerry conducted each step with finesse, humor, and patience. We always knew where to go, when and where to meet, and he taught us how to navigate the streets so we wouldn't get lost. He was unfailingly kind with those that had trouble understanding directions or just needed a little extra care. He was able to pinpoint immediately if someone was feeling lost, anxious, or confused and quickly come to the rescue. He informed us of all the pitfalls to watch out for (pickpockets, hockers, and the like) and how to be safe and we were then able to share that knowledge with other travellers we met along the way so they could be safe too. Seeing as it was our honeymoon, Gerry took it upon himself to make sure it was amazing, from setting up a wonderful accordionist and vocalist to accompany our gondola excursion in Venice, to notifying the waitstaff at dinner so we could have extra dessert and champagne, to providing us with a wonderful gift from one of the glassblowing shops that we visited. Please Gerry, don't ever stop doing what you do! At Trafalgar, we passionately believe in the power of travel to broaden the mind and build bridges between people. By sharing with you the hidden places not mentioned in guidebooks, the local people you wouldn’t otherwise meet, and the traditions you may not have experienced by yourself, we ensure that you get the ‘insider’ view, an authentic and enhanced experience you simply could not have had on your own. It is this dedication to taking our guests beyond the obvious sights that has helped us grow over the past 65 years into one of the most trusted and successful international guided vacation/holiday companies in the world. From Europe to the United States, South America to South Africa, and with the recent addition of Asia, we pride ourselves on uncovering the hidden gems, cultural highlights and not-to-be-missed attractions of the places you visit. We’ll help you delve deep into the heart of each city and capture the true essence of each new destination. We are committed to establishing lasting relationships with our guests by exceeding their expectations the first time and every time, through consistently outstanding quality of service, experience and value. We're proud to be the most globally awarded guided travel company. Every year, we win some of the most prestigious travel accolades around the world – from the Travel Globes to the Agents' Choice Awards. We've collected 46 major travel awards over the last five years alone, as well as the Gold Trusted Merchant Award from independent reviews provider Feefo.